With a bore and stroke of 50mm x 55.6 (as opposed to the CRF70F’s 47mm x 41.4mm) the Honda CRF110F Minibike air-cooled two-valve SOHC engine now displaces 109cc, rather than 72cc. The transmission now also has four gears, instead of three. The engine start switch is on the right hand side of the handlebar, the engine stop switch is on the left. A 1.2 litre airbox (the CRF70F used a 0.25 litre airbox) provides the much greater airflow that the larger capacity engine requires. The exhaust muffler cover is all new; partly for aesthetic reasons but also for improved protection. For more reliable performance digital ignition now gives the engine optimum ignition timing. 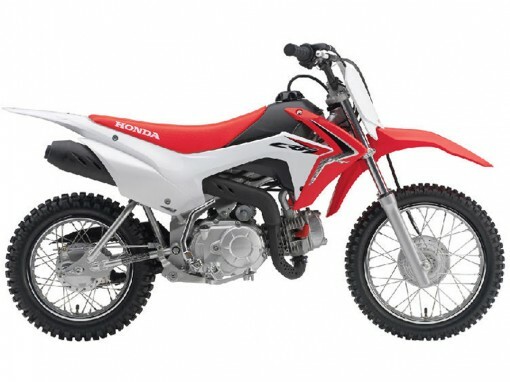 To make best use of the Honda CRF110F Minibike’s extra power and torque a new chassis was required. The suspension has been completely updated, for better traction and stability. The telescopic front fork diameter is 31mm, 4mm larger than the CRF70F and has 100mm of travel, while the rear shock absorber features a 28mm piston damper, up 7mm, with 100mm travel. Drum brakes front and rear provide ample, and measured braking force. The front wheel size is 14in with a 2.5 x 14 tyre; the rear 12in with 3 x 12 tyre. A completely new body kit, with echoes of the CRF450R’s ‘triangle proportion’ gives the CRF110F a crisp and modern appearance. The newly designed chain cover looks great and with the addition of a handlebar pad aids safety. Wide-set footpegs increase control, and the redesigned kick-starter is easier to use. 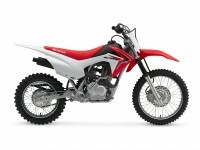 Seat height is 667mm, 5mm taller than the CRF70F – but the lowest in class – and the wheelbase is 7mm longer at 1,064mm. 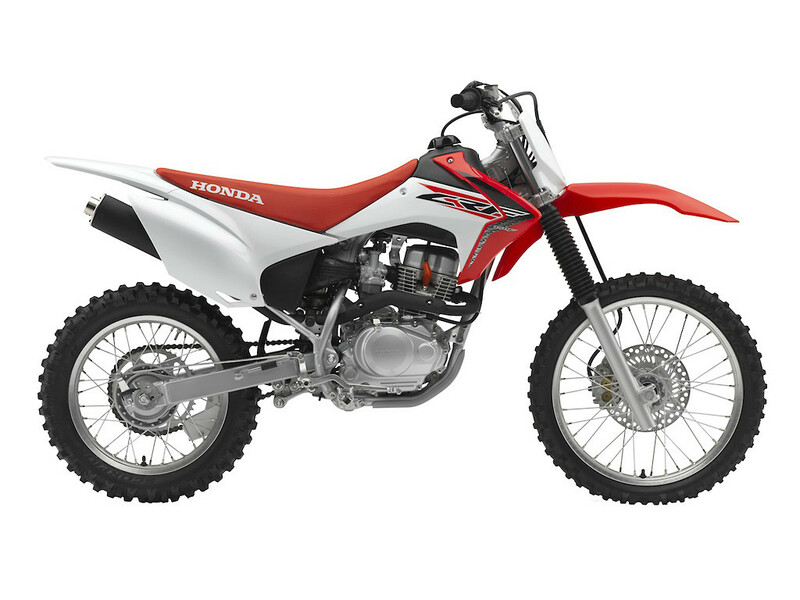 Fuel capacity is 4.9 litres, and wet weight of the Honda CRF110F Minibike is 74kg. Categories: Bikes For Fun, Bikes For Kids, Bikes For Teens, Bikes From $25 Per Week, New Bike Specials, Minibikes. 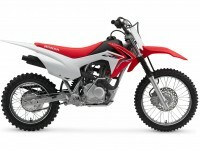 Tags: crf110f, dirt bike, electric start, Honda, kids, mini bike, minibike, Motorcycle, Start, teenager, Youth.